The women's swimming thread has been up for a while now, so I thought I'd create this season's men's swimming thread. Thanks for opening the 2018-19 message thread for the men. The challenge this year will be to replace star free and fly sprinters (Lynch and Josa) and top breaststroker Connor Hoppe. Durden also needs to find new team leaders to replace guys like Nick Silverthorne and Zach Stevens who made important contributions in and out of the pool. The 2018-2019 roster is not yet posted but hopefully we only suffer the normal attrition of graduation and do not have any scholastic or home-sick casualties. If that is the case, the prospects look very for the Bears to challenge for national honors again. Last year we finished a very close 2nd at NCAAs without a single individual or relay first place finish, and we have the bulk of our NCAA points returning (Seliskar, Thomas, Quah, Norman, Sendyk, Grieshop, Hoffer, Carr, Mefford, Sand and Julian). Unfortunately, Texas and Indiana are loaded as well so much depends on the Coach Durden ability to get Hoffer to return to top form and to guide super frosh Reece Whitley to a smooth transition to the rigors of Cal academics and D1 swimming. Of the 2018 freshmen, only Whitley is expected to score NCAA points this coming March. I just wish we had gotten Sancov who swam high school last season in the East Bay area (Concord). Wish Cooper (Pleasanton) who still has another year at Foothill High School would change his mind on Ohio State and join to of his Foothill team mates at Cal. 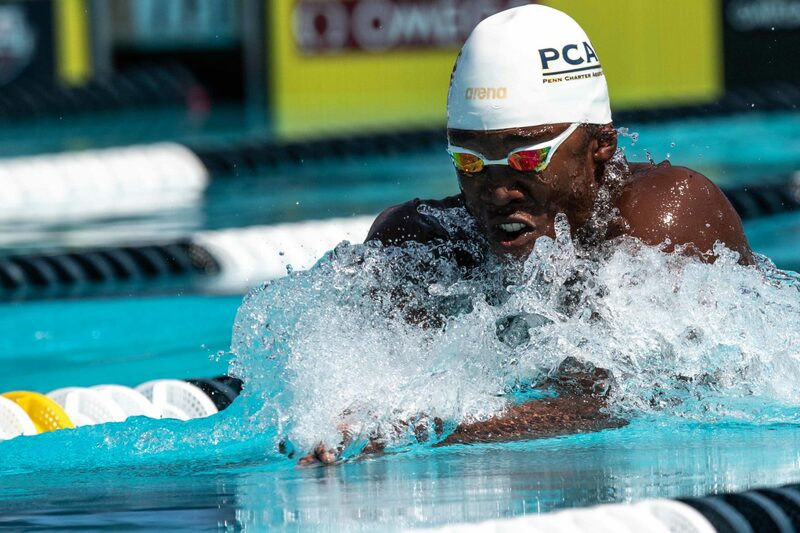 We must get 16 year old Urlando from the Sacramento area who is pushing Michael Phelps' times at the same age group. After a couple of chats with people closer to recruiting, there wasn't an academic match with Sancov, and USC could offer more $$. Jonah Cooper decision to swim in Ohio is a head-scratcher, but the kid speaks highly of their nursing program and I am sure they could offer more funding than Cal. Agreed about Urlando and I know that Matt Whittle has been in his ear, but he also told Gianluca to enjoy recruiting, go on his trips, but in the end to choose Cal. Thanks for the update and hope we land Urlando. Sancov has a friend (can't recall the name right now) who I think may be a foreign student and who has swim times on the level of Sancov. Hope he doesn't go to USC, too! 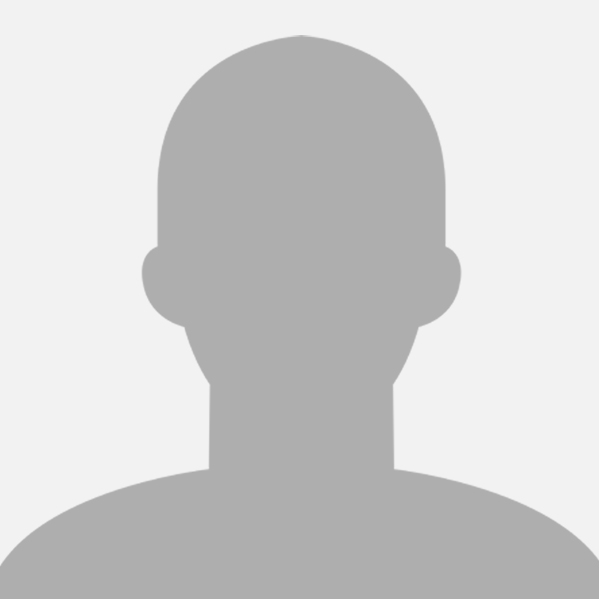 Assuming you are talking about Andrei Minakov out of Terrapins as well? Yes.. I never heard anything about him reading Swim Swam.com. It's a very small class for the returning NCAA runners-up, but there's an argument they could be ranked even higher for nabbing the #1 recruit in the class. Reece Whitley has a chance to be one of the greatest breaststrokers in NCAA history, coming in with the fastest breaststroke times of any high schooler we've ever ranked. 51.1 and 1:51.4 would have both placed top-3 at NCAAs last year, and Whitley could be both a multi-time NCAA champ and a major difference-maker on the breaststroke leg of medley relays. Far from a one-stroke specialist, Whitley is also the best 200 IMer in the class (1:43.55) and there are some who suspect Whitley could ultimately develop more into an IM type than a true breaststroker. (It's too easy to forget he's 3:44.7 in the 400 IM and has the ability and training background to chew up yardage in those tough races). Christopher Jhong is another very good IM prospect, bringing in times of 1:45.5 and 3:49.0 in the IM events. He's also a very good butterflyer (48.3/1:47.2) and should be a productive prospect for the Bears. The rest of the class has upside based on Cal's track records in their events. Millis is a backstroker (48.2/1:45.2) who has a ways to go, but does join a program that churned out Jacob Pebley, then Ryan Murphy, then Daniel Carr and Bryce Mefford. O'Connell's 47.7 100 fly is intriguing, especially given he's only been swimming year-round for a handful of seasons. He was just 51.7 in the spring of 2016, 49.9 a year later and 47.7 this spring, so the trajectory is awfully exciting. Coming just short of 2018 champions Texas and just ahead of an upset-hungry Indiana, the Cal Golden Bears prided themselves on an NCAAs where individual scoring was the main driver of their point accumulation. Specifically, contributions from Andrew Seliskar, Connor Hoppe, and a dynamite freshman class propelled Cal to its runner-up position. Cal was without an individual nor relay title, though Seliskar touched 2nd in a hotly-contested 200 breast to IU's Ian Finnerty, 3rd in the 400 IM, and Nick Norman had a breakout year with a 3rd place finish in the 1650. In addition to other top 8 finishes from a host of other swimmers, Cal shot three swimmers each into both butterfly event A finals, and managed top-3 finishes in both 200-yard relays. 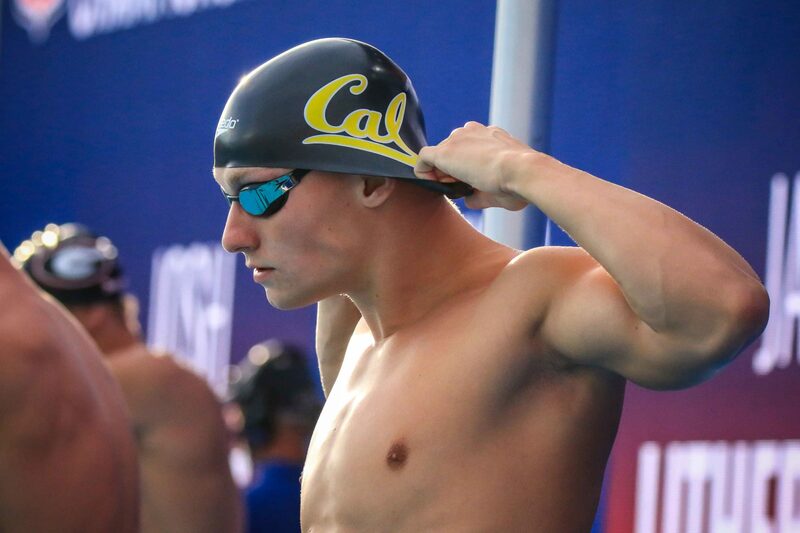 Many chalked it up to diving as Cal's missing link and the reason for their falling short of the Longhorns, though one could look to all four of their 100 freestylers missing finals by tenths as another way they weren't able to claim the crown. Ifs ands and buts aside, Cal put forth a tremendous effort last season without a single title and without any scoring divers. 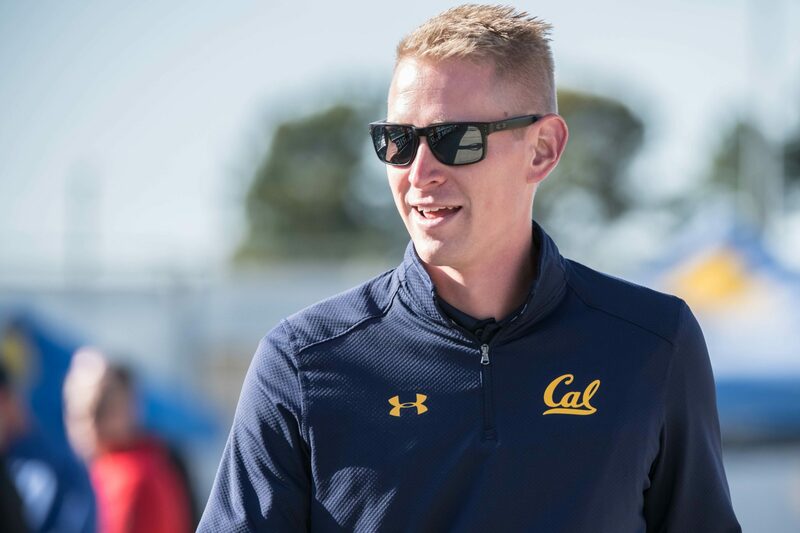 Outgoing Justin Lynch was a sprint free and relay staple during his time at Cal, but individually he was only responsible for 3 sprint free points. Impressively, the Bears return not one, but two sub-19 sprinters in junior Pawel Sendyk (18.94) and the heralded high school recruit and now-sophomore Ryan Hoffer (18.97). Bowen Becker of Minnesota (18.88 at NCAAs, 18.69 at Big Tens) is the NCAA's top returner from last year's championship, meaning Sendyk and Hoffer have as good a chance as any to nab a title. In the 100 free, however, both are going to have to do more than they did last year if they want to score. Junior Michael Jensen ended up on the wrong side of the line with painful finishes of 19th, 19th, and 21st in the 50/200/100 frees, respectively. His freshman season was a bit more fruitful, as he scored in the 50 free B final, but he's a fringe asset who will definitely help out on relays. This summer was big for Jensen, as he registered times of 22.0/48.7 in LCM at Nationals, meaning he may be right around the corner from a break through 2019 NCAAs. Andrew Seliskar shocked many fans with a lights-out 1:45 200 free title at Nationals to secure not just his first, but his first two international roster spots for the 2018 Pan Pac Champs as well as the 2019 World Champs. He may stick with the 400 IM over the 200 free individually, but he will be a huge boost to the 800 free relay and may get pasted onto the 200 and 400 free relays with Lynch out and no elite sprinters joining the program this year. Bryce Mefford snuck into the A final of the 200 free, too, which was a big swim from the freshman. Nick Norman is the main name returning here. After finishing 6th to last in the mile as a freshman and 2nd to last in 2017, Norman found his engine and really took off last season. Touching all the way up at 3rd in the mile and nearly a full minute faster than he was as a sophomore, Norman is reinvented and will challenge for a title in this race in his senior season if all goes well. He backed up his 2018 NCAA showing with 4th place finishes in the 800 and 1500 frees at Nationals this past summer and he's looking the best he ever has - he wasn't too far scoring in the 500 last year, either, but that's more of a tough bet to make as he really excels in the mile. Distance was a severe weakness for Cal up until last year, what with Norman's surge and Sean Grieshop scoring in the 500. Grieshop, now a sophomore, could be up in the A final after touching 9th in prelims in 2018, and he was also 11th in the mile. Seliskar returns with only Stanford's Abrahm Devine ahead of him based on last year's A final times in the 400 IM, and Cal has more in the tank in the IMs. Mike Thomas showed up for B final appearances in both IMs last year, while Grieshop was just out of the B final by one place. A whopping 9 of 16 400 IM finalists last year have graduated, leaving room for some uptick from people like Grieshop. In the 200 IM, Seliskar should also be in the mix for a top 3 finish, and Thomas and Zheng Quah lurk after racing in the B final last season. Reece Whitley comes in at 1:43.5 in the 200 IM and 3:44.7 in the 400, and while he'll almost definitely do the 100 breast on day 3 of NCAAs, his 200 IM is already at B final level. Chris Jhong, an in-state pickup, is also a very capable IMer at 1:45.5/3:49.0 who may develop into a scoring threat. Butterfly was the strongest point of Cal's roster last year. They had six men make A finals in the flys, with the three who A-finaled in the 100 being completely different from the three who made the 200 fly A final. Josa, Lynch and Hoffer reached the 100 fly A final, while Quah, Thomas and Trenton Julian A-finaled in the 200. Lynch and Josa are gone, which is tough considering Josa was the 400 medley fly leg and Lynch was a sub-20 medley relay fly split, but there isn't trouble in this paradise for now. Quah is still a remarkable all-around talent in the fly, and with Sendyk and Jensen (and even Seliskar) available to anchor medleys if needed, Hoffer may just slot into Lynch's 200 medley fly spot and/or Josa's 400 medley spot. All of Cal's 200 flyers are back, and Quah lurks for a potential A final showing in the 100 fly. And, Seliskar might feel like tackling a different beast instead of the 200 breast - either way, he's a title contender in either the 200 fly or breast. Similar to Indiana, backstroke is the weakest point of this roster (diving excluded), but there isn't really much that Cal is lacking in this department. Freshmen Mefford and Daniel Carr absolutely turned it out for the Bears, coming through when they were so needed, despite being freshmen. Carr is the fastest 200 medley lead-off returning (he was 2nd-best in the entire field last year) and was a B finalist in both backstrokes, while Mefford finished 4th in the 200 back and just this summer was 4th in the 200 back at Nationals. Quah and Ethan Young were both 46's last year in the 100, while Young hit a 1:41 in the 200. As All-American Hoppe exits, stud freshman Reece Whitley enters. Whitley is a true blue-chip recruit, with A-final level times in the 100 and 200 breast (51.16 and 1:51.43, respectively). It could end up being quite a smooth transition, actually as Hoppe's runner-up time in the 100 breast at NCAAs is Whitley's exact lifetime best, while the freshman has been about a second faster than Hoppe in the 200. Meanwhile, there's Seliskar, who nearly won the 200 breast NCAA title over a fading Finnerty and pulled out a nearly incomprehensible 28.91 final 50. Carson Sand, a 52.3/1:54.8 breaststroker, rounds out three very capable swimmers in Cal's arsenal. Whitley may be called upon for medley duties, as Seliskar is wildly versatile and may be needed elsewhere, and then there's Sand who can hop in if needed, too. Several Cal men are coming off of great NCAA seasons and arguably even greater summers in long course. Key players were lost to graduation, but Whitley's addition is seismic - he may well bring in 40 or more points strictly from his three individual races at NCAAs, and his lethal breast speed on relays should allow for the versatile Seliskar to do damage elsewhere. Surely, Cal has lost too much from its departed class to make up much ground on a Texas team whose freshman class is so deep. When looking at the numbers, though, only Drew Kibler comes in with a time that can score individually (Daniel Krueger is the only other new face who even has an invited time). Cal is going to need more out of its sprint freestylers, and they certainly cannot afford to have guys who are capable scorers stuck finishing in the late teens. With Indiana also on a roll, these three teams up top are going to be in a triangular battle for the ages. Texas may have lost a few big guns in Ringgold, Roberts, and Schooling, but they have our #1-ranked 2018 recruiting class for a reason. Picking up swimmers like Kibler, Krueger, Willenbring, etc. makes for a bright future in Austin. There is potential history on the horizon as well. Haas has a legitimate chance to become the first swimmer (male or female) to sweep the 100-200-500 free at NCAA's. While that is an unlikely feat, it is hard to objectively argue against its possibility. When looking at their grades above, you may think: "Huh? Seems pretty inconsistent." But the thing with Texas is that where they are strong, they are really strong. Just look at the 100/200/500 free and 100/200 back 5 events where the Longhorns have a legitimate chance to put 3+ swimmers in the A-final of each. Throw in stellar returning divers like Windle, Grayson Campbell, and Jacob Cornish (who all scored top-10 last year on at least one board) and 5 relays that should all score top-8 and the Longhorns will find themselves in a battle for their 5th-consecutive NCAA title. Before we get into our outlook, it's important to note that Indiana is a team that will again benefit from its diving group despite the loss of Michael Hixon, who scored 36 points for IU last year, they return Andrew Capobianco (33 points), and James Connor (29 points). In terms of NCAA scoring ability, there is no doubt Indiana has one of the most well-rounded teams in the NCAA. With no real weak points, and a big diving advantage, this team will be one that's hard to beat. The loss of Blake Pieroni will be made up for by Zach Apple, which is a monstrous boost to the team, because of the points he will score both individually and on relays. Speaking of relays, the Hoosiers have an excellent shot at being top 8 in all 5, and grabbing a couple of titles as well. Namely the medley relays are where their real power comes from, but they also came in 2nd in the 800 free relay last year, and Zach Apple isn't that far off Pieroni's 200 speed. Vini Lanza and Ian Finnerty will surely be looking to go out with a bang in their senior campaigns, and could possibly sweep the breaststroke and butterfly respectively. Michael Brinegar is set to bring in distance free points, which was one of the few holes the Hoosiers had in their roster last year. 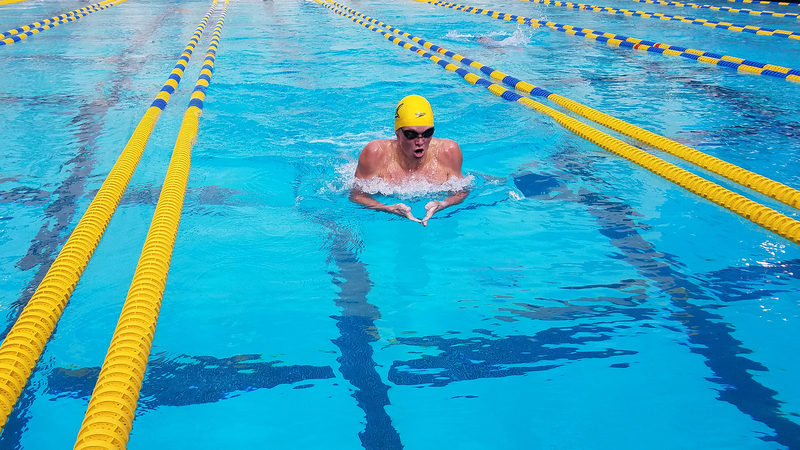 BERKELEY - A new season gets rolling with a trip to San Luis Obispo for the Cal men's swimming team as the Bears hit the road to take part in the King of the Pool competition hosted by Cal Poly. Swimmers will race 100 yards in the freestyle, butterfly, breaststroke, backstroke and individual medley and the person with the lowest combined time across all five strokes will be named king. Last year, the Bears returned to the King of the Pool meet for the first time since 2014 and three Cal swimmers battled for the crown. Matthew Josa emerged with a narrow victory, besting Andrew Seliskar by less than three-tenths of a second. Zheng Wen Quah also put himself in the mix for the overall title and the top three all finished less than half a second apart. Seliskar and Quah return this time around as the former begins his senior season and the latter enters his junior year with the Bears. The Bears welcome a versatile and talented group of five newcomers for the 2018-19 season as Chris Jhong, Kyle Millis, Daniel O'Connell, Galen Penvenne and Reece Whitley will look to make their mark in their first season of collegiate competition. Cal's next three race days will all come in the Bay Area with a pair of home dual meets highlighting the fall schedule. The Bears will welcome Pacific to Spieker Aquatics Complex on Oct. 3 and Utah visits for a double-dual on Oct. 10. Action shifts to the South Bay on Nov. 8 for the annual Triple Distance Meet at Stanford and the fall season comes to a close in Georgia when the Bears take part in the Georgia Fall Invitational from Nov. 29-Dec. 1. 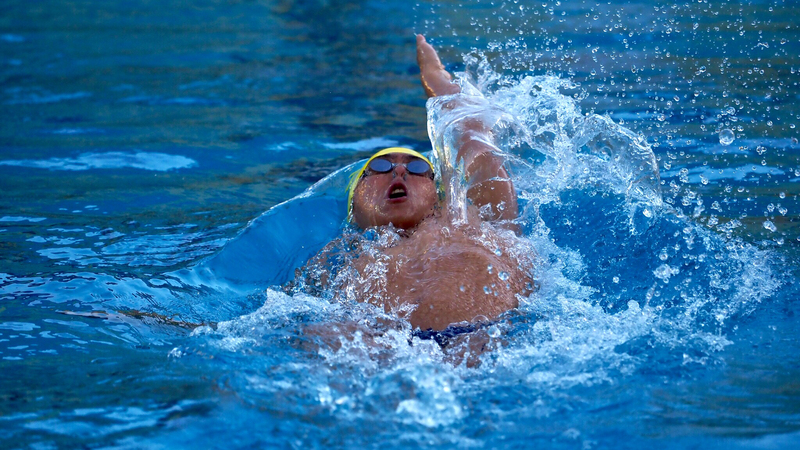 SAN LUIS OBISPO, Calif. - Racing the unique King of the Pool format that asks swimmers to contest five different disciplines at 100 yards apiece, the Cal men's swimming team got its 2018-19 season underway with some quality racing and senior Andrew Seliskar earned the title of King of the Pool at Cal Poly. Seliskar earned his crown thanks to a combined time of 4:05.70 over a five-race program that included the 100 fly, 100 back, 100 breast, 100 free and 100 individual medley. Junior Zheng Wen Quah placed second with a combined time of 4:08.76 while sophomore Bryce Mefford took third in 4:10.94. Quah jumped out to the early lead with wins in each of the first two races. A time of 47.30 in the 100 fly got the Singapore Olympian to the wall one second ahead of Seliskar and Quah edged teammate Daniel Carr to win the 100 back with a time of 48.23. Freshman Reece Whitley made his Cal debut a winning one with a strong performance in the 100 breast, touching the wall in a time of 54.33. Senior Carson Sand took second in 54.70 while Seliskar placed third and made a big move up the combined standings. Seliskar added wins in the final two races, beginning with a time of 44.06 in the 100 free. That left the 100 IM and Seliskar pulled out a win to end the day, just beating Quah to the wall with a time of 49.25. 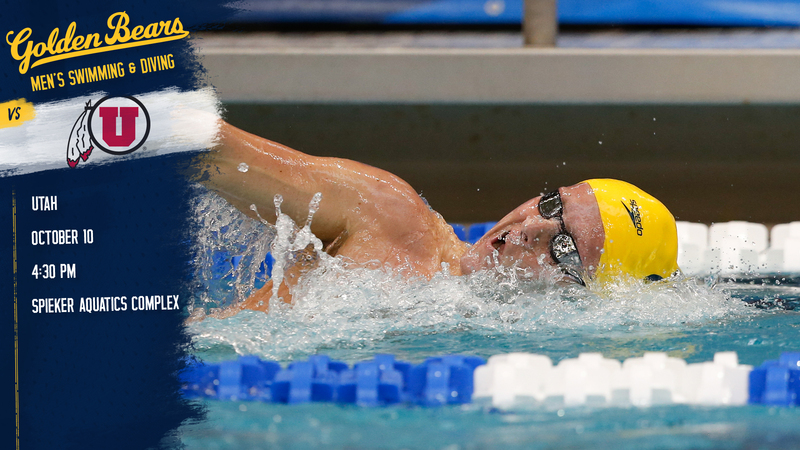 Cal returns to competition on Oct. 3 when Pacific visits Spieker Aquatics Complex for an 11 a.m. dual meet. The Bears host Utah on Oct. 10 in a double-dual with the Cal women's team. Seliskar was 48.30 in fly, 49.18 in back, 54.91 in breast, 44.06 in free, and rounded it out with a 49.25 in the IM. He won the free and IM races. Weitzeil, meanwhile, was 58.15 in fly, 56.47 in back, 1:03.35 in breast, 49.38 in free, and 56.87 in IM, winning all but the butterfly, where she was 10th. On the men's side, Zheng Quah was very strong in several events. He won the 100 fly (47.30), a full second clear of 2nd place Seliskar, and he was back the next event to win the 100 back in 48.23. Cal's Bryce Mefford (48.33) and Mike Thomas (48.67) were also strong in the fly, while Daniel Carr(48.27), Thomas (48.41) and Mefford (48.58) followed closely behind in the 100 back. Quah was just edged by Seliskar in the 100 IM, too, 49.25 to 49.43, with Mefford 3rd in 50.23. Reece Whitley took the men's 100 breast, as the Cal freshman exerted a 54.33 effort to out-touch seniors Carson Sand (54.70) and Seliskar (54.91). Seliskar's 44.06 had Michael Jensen (44.44), Quah (44.73) and Pawel Sendyk (44.79) in tow. The Cal Aquatics Gala is a bi-annual event and fundraiser for all of Cal aquatics, bringing in alumni from all across the globe for a night of celebration and appreciation for swimming, diving, and water polo. However, the best part of the weekend? The Cal men host an alumni practice for all the swammers who come in for the event. That meant that retired Olympians, NCAA champions, and national teamers from around the world got back in the pool to swim with the current Bear swimmers. During this weekend, someone mentioned to me that while Dave Durden is a great coach, he was born to do this *motions to Durden shmoozing merrily with alumni*. And Durden confirmed this, mentioning in the video that the most important thing for him as a coach at Cal is building community, and that the alumni are most certainly a part of the bear community. Durden welcomed the former swimmers back into the pool with a generous warm up, one that included throwback drills to the Nort Thornton days of Cal as well as lots of social kicking, so the undergrads could get in some talk time with the alumni in their lanes. 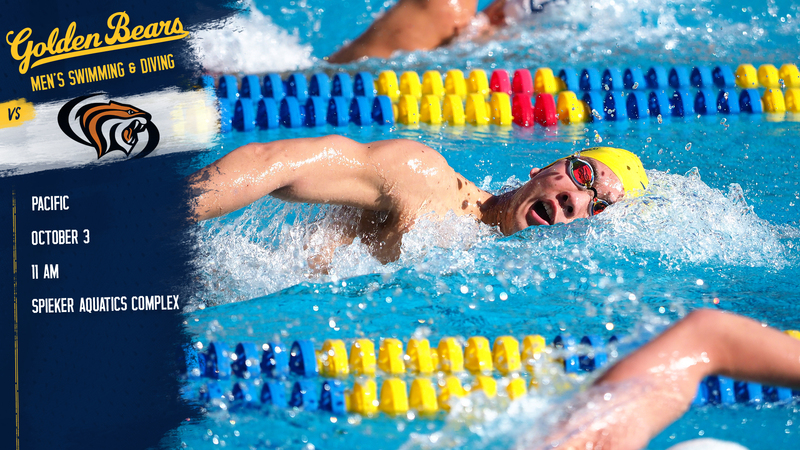 BERKELEY - The dual meet portion of the Cal men's swimming and diving team's season opens Wednesday with a visit from Pacific as the Bears and Tigers will do some early season racing in a mid-morning meet at Spieker Aquatics Complex. Action begins at 11 a.m. with the 200-yard medley relay and swimmers will contest the traditional 14-event lineup with both 1 and 3-meter diving added as well. Diving will take place down Bancroft Ave. at Legends Aquatic Center. Wednesday's meet is the first of two home dual meets this fall for the Bears as they'll welcome Utah on Oct. 10 in a combined dual meet with the Cal and Utah women's teams. The Bears head to Stanford for the annual Triple Distance Meet on Nov. 8 and close the fall calendar with a trip to the Georgia Fall Invitational from Nov. 29-Dec. 1. The Tigers make the trip to Berkeley to open their 2018-19 season and head coach Pete Richardson welcomes back plenty of experience with a roster that includes nine seniors. Four of those upperclassmen Angel Alcala, Niles Biolley, Mason Miller and Yahav Shahaf held top times on the team a year ago and Miller set the school record in the 100 fly in 2018. Pacific will also bring a diver, junior Brandon Reno, to compete on Wednesday. 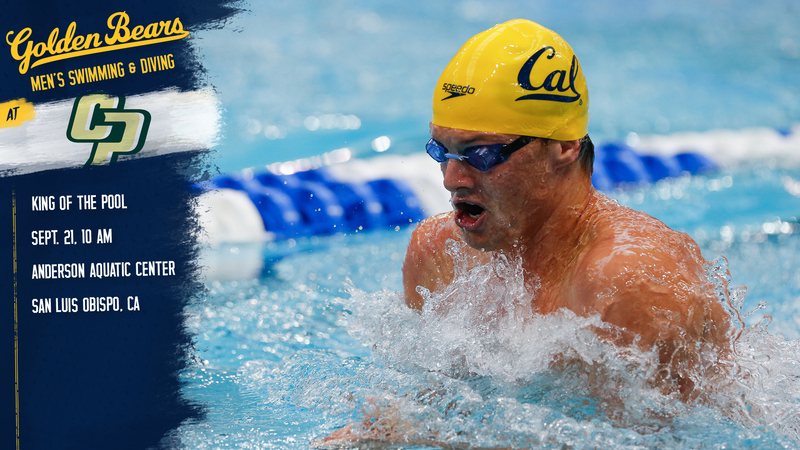 Wednesday's meet represents the first chance for Cal's newest swimmers to race for the Bears in their home pool. The Bears welcome a versatile and talented group of five newcomers for the 2018-19 season as Chris Jhong, Kyle Millis, Daniel O'Connell, Galen Penvenne and Reece Whitley will look to make their mark in their first season of collegiate competition. This ranking seems very off. It's banking on UT's unproven freshmen whose best times are no where near last year finalists' times, except for Kibler with a B-final qualifying time. Even the talented Jack Conger took a long time to develop at UT. The bears have a proven sophomore class + Whitley. If they swim their best, they should win the title this year. Am of the same mind (or hopes lol) - really think Bears have a more than credible chance at knocking the Horns off this season, but only if everyone's firing on all cylinders, led by Seli & the sophomores. I have to disagree; bears only return 37 more points than Texas, and as great as Whitley is, Kibler is right there with him in terms of being one of the fastest high schoolers ever and then behind him they bring in another 8-10 swimmers (plus one diver) that are not at all far off NCAA scoring range, as far as incoming freshmen go. Our #2 recruit, Jhong--who's looked promising so far--would be towards the very back of that group. Now obviously freshmen are never guaranteed to be immediate contributors, but Eddie Reese has done a better job than any other coach the past few years at developing swimmers, many of them right off the bat, and with 10 or so to work with there should be a few successes. It's certainly possible they don't bring that many points (see the disappointment of our own #1 ranked class that graduated last year), but not likely. At the very least you have to give it to them until the bears (or even hoosiers) make a very strong case to the contrary. All that said, this team as a huge upside, and the first couple meets look promising for a couple key swimmers. For one Julian winning all three of the 500, 200, and 2IM in a short dual meet is very impressive, and the times aren't bad either. It'll be interesting to see what his events end up being outside of 2fly, and if he can score in all of them. Quah also looks very encouraging, with great swims in fly and back (which he may switch to from 200IM?) and in his free relay splits. The 4th 200FR and 400FR spots are pretty open behind Hoffer, Sendyk (200), Jensen, and Seliskar (400). It'd be great to see Hoffer, Sendyk, and/or Jensen break through this year after a stagnant 2018. If all of Seliskar, Hoffer, Quah, Thomas, Whitley, and Mefford (maybe including 100 back) score A/ high B points in three events each, and Carr, Norman, Grieshop, Jensen, Julian, and Sendyk contribute in 1-2, that's probably a championship team. But in the likely event one or more of those guys has an off meet, it'd be great to see any of these "high potential" guys even make the NCAA team--guys like Hatch, Biondi, O'Connell, or Millis. I don't know much about diving, but it says Callahan broke Sam Helvie's school record. I know Helvie was a B-finalist at NCAAs, so does anyone know if this portends big things to come, or is it more likely just soft judging? Within the recruiting context, Reece Whitley is the Ryan Murphy of breaststroke. On the other hand, Kibler can make just one B final and no where near the time for A finals. I basically believe the SS writers have it right; the 2019 Men's NCAA is a 3 team meet, and if Texas, Indiana or Cal wins, it won't be a major upset. Indiana getting Apple from Auburn is a big deal, and the Texas free group is sick. I do like Cal's chances, as Reece Whitley looks like he will make a seamless transition to college competition. Relying on freshmen is a tricky deal. If Ryan Hoffer had matched his best prep times in the 50 and 100 free sprints, Cal on paper beats Texas at last March's championship. OTOH Cal's freshmen as a class, exceeded expectations. Will the Texas frosh make big drops in time under Eddie Reese ? Will the Texas divers score major points or will divers from Purdue, Minnesota, Tennessee and Indiana neutralize that advantage? Will Cal's super Sophs continue to improve? Tune in March 2019 for the answers. 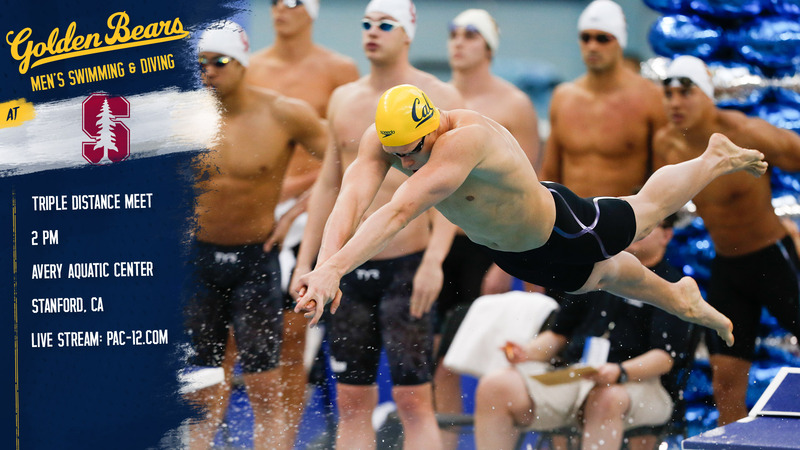 BERKELEY - After opening the dual meet season last week with another solid step in its early season progression, the Cal men's swimming and diving team welcomes a Pac-12 competitor to Berkeley as Utah pays a visit for the Bears' final home meet of the 2018 calendar year. Cal will host the Utes as part of a double dual with the women's teams for both schools. Swimming begins at 4:30 p.m. at Spieker Aquatics Complex while diving will take place at Legends Aquatic Center. Though Wednesday's meet represents the final home competition of 2018, local fans will still have one more opportunity to catch the Bears in action when they travel to Stanford on Nov. 8 for the annual Triple Distance Meet. The fall schedule concludes on Nov. 29-Dec. 1 with the Georgia Fall Invitational and home racing resumes on Jan. 19-20 with the Cal Invitational all-comers meet at Spieker. 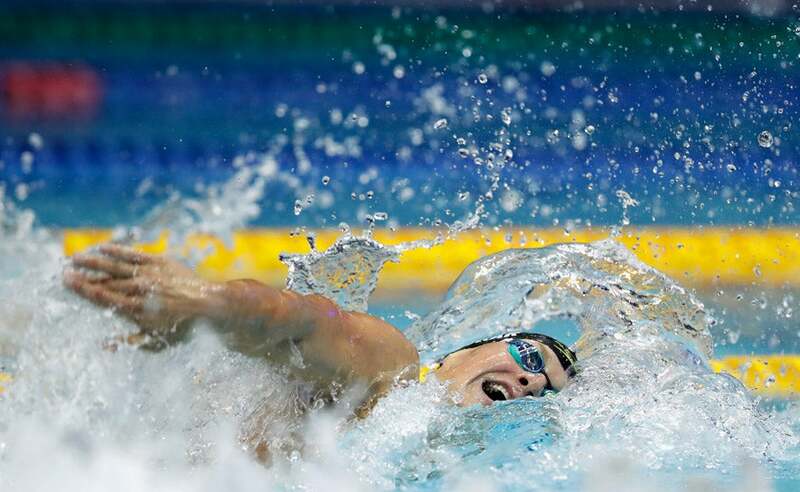 - Pawel Sendyk dropped 1.3 seconds in 100y free. That's a big & good surprise. - Norman drop 6 seconds on his 1000y swim. - Biondi dropped 0.5 sec on his 50y and 1 sec on 100y free. Thank you for those encouraging comparisons, solobear! The Utah Utes headed over to Berkeley on Wednesday to face Cal after opening their dual meet season at Stanford on Tuesday, and it was another tough outing against two of the best teams in the country as the Golden Bear men and women both won in decisive fashion. The Cal women won by a score of 184.5-111.5, while the men defeated the Utes 191-100. On the men's side Cal won all but one event on the schedule, led by double winners Andrew Seliskar, Michael Jensen and diver Connor Callahan. Seliskar showed off his versatility with wins in the 200 breast (1:56.81) and 200 fly (1:44.26), along with a pair of quick freestyle splits on the 200 medley (19.44) and 400 free (43.91 lead-off) relays where Cal won easily. Jensen, who also had two impressive relay splits with a 20.42 fly leg and a 43.04 on free, swept the sprint freestyle events with showings of 19.96 and 43.81. In the 50 he beat out sophomore teammate Ryan Hoffer (20.17), while in the 100 he out-touched Pawel Sendyk (43.85) by just .04. Callahan won both the 1-meter and 3-meter diving events easily with scores of 355.13 and 337.43 respectively. Also of note for Cal was freshman Reece Whitley earning his first dual meet victory as a Golden Bear in the 100 breast, where he put up a very impressive 53.74 with teammate Carson Sand (54.54) in 2nd. The Utes' lone win came in the 500 free, where Rahiti De Vos went 4:30.31 to top Cal's Ken Takahashi (4:33.44). Along with Seliskar and Jensen, Carr (21.99) and Sand (24.35) swam on the winning 200 medley relay (1:26.20), and Quah (44.47) and Sendyk (43.74) swam on the 400 free relay (2:55.16). We're expecting Cal to do step it up in both of the 200-distance relays, although Indiana got just over half the votes in the 200 medley relay. Our job gets a little harder now that Caeleb Dressel is done with NCAA competition, and it looks wide open in all three of his events, but especially the freestyles. We came up with five different picks in the 50 free, with three writers picking Bowen Becker and two more picking Zach Apple and Pavel Sendyk, while Ryan Hoffer and Tate Jackson each earned a vote. It's a similar story in the 100 free, where we internally discussed at least eight different names as possible champions, including Becker, Ryan Hoffer, Robert Howard, and Jacob Molacek, in addition to the names you'll see in our picks. In the end Apple narrowly edged out Justin Ress in terms of our voting, with Jackson and Haas both picking up votes. All of those men were within about half a second of each other last year. Andrew Seliskar has so far made nine A-finals in nine individual events in his NCAA career, but thus far has yet to win an individual. We're looking for that to change after he had a breakout summer in the big pool, and he got a majority of the votes to win both the 200 IM and the 200 breast. Each of the top three returners in the mile earned some votes, with Michigan's Felix Auboeck leading the way. Cal's Nick Norman was just over a second behind Auboeck and Notre Dame's Zach Yeadon had an impressive freshman campaign, setting up what should be a great battle in Austin. I only have last year's official meet results to go by, but by my quick internet search, I have Junior Pawel Sendyk as being well ahead of last year's pace; at last year's early October meet in Utah, Pawel's 100 time was 47.3, compared to his 43.85 this past Weds. Pawel improved to 44.53 at November's 2017 triple distance meet with Stanford, so it will be interesting to see if he can shave more time at this year's triple distance meet, which again is being contested down on the farm. Sendyk has also recorded a 19.79 50 free (at the Pacific meet on Oct 3rd) and taken together with his 100 free time and his fly leg on Weds's 200 Medley relay are very encouraging signs that he is stepping up to help replace Justin Lynch and Matt Josa. Bear's need to fill Lynch's, Josa's and Hoppe's spots on last years medley relay squads (fly and breast). While Seliskar and Sand will also provide competition for the breast leg, Reece Whitley appears to be the leading candidate for both medley breast legs. The fly medley legs appear less set with Hoffer, Quah, Sendyk and Seliskar as the leading viable fly options. As of this past Weds, the top 200 medley squad would be Carr (back), Whitley (breast), Sendyk (fly) and Hoffer (free). As a whole, the team performance was almost the same as 11/9/2017. Assume the team members are on the same training cycle, the data from Nov 2017 (instead of Sep) can be used to judge Sendyk's swims. collegeswimming has a very useful progressing graph for each swimmer to help predicting the future. - Hoffer's 100 free has a lot of ups & downs, so it's understandable that his freshmen year wasn't his best. - Otoh, Whitley's breast swims are more consistent. It'd be a surprise if he slows down significantly. - Remarkably, after attending Cal, the graphs show most of the bears have a similar consistency and progressing. If swimswam asked a statistician or mathematician from an unbiased school such as MIT, they would rank the bears as #1 for 2018-2019. Instead they hired a Furd whose math skills are probably not as great.